The program is designed for students to attend during a school day and see the school in action. 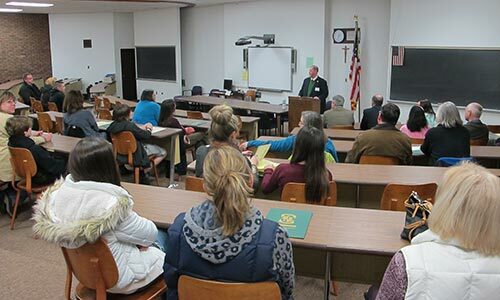 The student will attend on his/her own and parents will have the opportunity to meet with the Principal and guidance counselors at the end of their student’s shadow day. The prospective student attends classes, participates in the day’s activities, has lunch, and meet our faculty and fellow classmates. The prospective student is paired with a current Coleman student for the day. The prospective student will follow the schedule of the current student. Prospective students can be paired with a friend or relative, or with a student with similar interests and course selections. It is the perfect time to “Picture Yourself Here! !” It is a time to make you own decision if you want to thrive as a Coleman student. Shadow days offer the opportunity to see our school in action. This day is intended to smooth the transition to Coleman when the prospective student decides he or she is ready to do so. 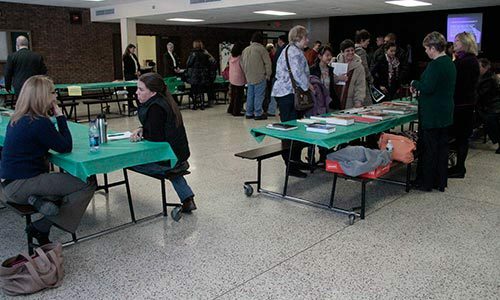 Open Houses are held each year in October and January. These events will always be posted on our school calendar well in advance. This event is open to both students and parents. Parents may call the school office to schedule an individual tour of the school. 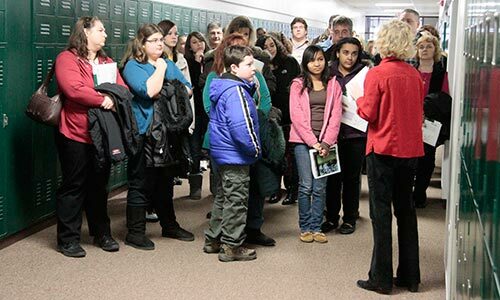 Tours allow the parent and/or student to see the school either during the day, while classes are in session, or after school. For more information on any of these options, please call or email Ellen Rask in the main office at 845-338-2750.